Foot detox, massage, microdermabrasion facial and stress treatment. Includes a massage, foot detox, or stress treatment. Enjoy a 60 minute massage with light refreshments, chocolates, and champagne in Berk County’s largest couple suite. The romantic setting is complete with candlelight, soothing music, and a cozy fireplace. Enjoy a romantic day together in Berks County’s largest couple suite. The Ultimate Couples package includes time in our heart-shaped whirlpool for two, followed by a luxurious 60 minute massage in a candle-lit setting while soothing music plays. Light refreshments, chocolate, and champagne is also served. Great for Bridal, graduation, birthday, Mother’s Day, Father’s Day, or just because I love you day. This package includes skin exfoliation, followed by a detox wrap and ends with a stress reduction treatment. The Bridal package includes a Swedish body wrap to make that beautiful special dress fit just perfect (dropping 6-20 inches from neck to ankle), a body polish to make that skin all so soft, and a stress treatment to make the day go more carefree. If you would like a massage instead of a stress treatment, time is 3 hours and 15 minutes for $235.00. 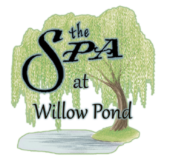 Also, you may add a customized facial for an additional $75.00. Groom package includes a therapeutic massage, a body polish, and a custom facial. Take a break from your job and enjoy our all around massage and relaxation treatment. 1 hour massage, 1 hour facial with 30 minutes in the alpha capsule. A salt scrub and rub on the back, hands, and feet. It will make your skin feel extra soft. A 45 minute back massage followed by 30 minutes inside the relaxing alpha capsule. Your back will never have felt better!